I lead a comprehensive wealth management team that believes in providing customized solutions to our selected successful families. These solutions guide our families to help build the lifestyle and legacy that they have worked so hard for. My business card indicates Investment Advisor as my title; however, we offer so much more than just investment advice. 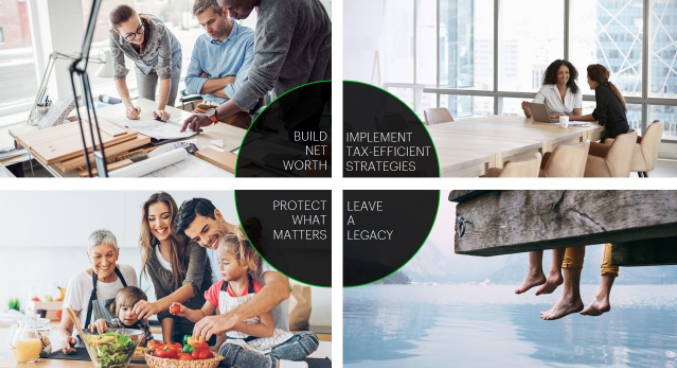 Since 1996 when I entered the financial industry with TD, I have found that every decision clients make in life revolves around the lifestyle they want for their families. We utilize a structured six step process, to ensure every personalized recommendation we provide is helping to advance our selected families toward the lifestyle and legacy they are looking to achieve. Over the years, we have identified three key reasons why clients have moved their family wealth under our guidance, and continue to introduce our consistent services to their relatives, neighbours and colleagues. We listen actively to our clients to fully understand what is important to their families and welcome their questions and updates as we work together. We provide timely information to clients in terms they understand, so they can make the best decisions for their family. We stay in contact with our clients regularly to keep them aware of any changes that may affect their situation. We work in collaboration with our client's team of professional accountants and lawyers, along with TD Specialists who specializes in wealth management, risk minimization, estate planning, and charitable giving strategies, to help grow, protect and enhance our clients’ financial lives. I actively enjoy learning and continually work to enhance my knowledge to serve clients better. As a Certified Financial Planner (CFP®), Canadian Investment Manager (CIM®), Fellow of the Canadian Securities Institute (FCSI®) and Certified International Wealth Manager (CIWM®) designation holder, I bring extensive education, ethics and over 15+ years of experience in the financial industry together to meet clients’ complex and changing needs. We are looking to add ten selected families to our business over the next year. Please contact us today to see how we can collaborate to help you build a strong financial future for you and your family. Janice Hinton has over 20 years experience within the investment industry. She has gained an abundance of knowledge by working in a variety of administrative positions. Janice takes personal pride in delivering exceptional client care. MoneyTalk is Canada's premier personal finance show.